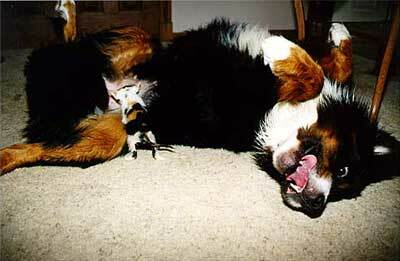 I thought I’d post a couple of photos of Bernese Mountain Dogs. 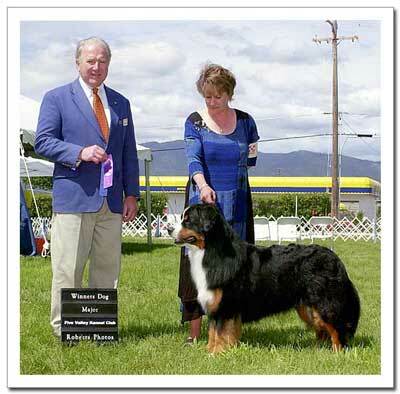 As many of you know, we (occasionally) breed, raise, train and show these wonderful dogs. 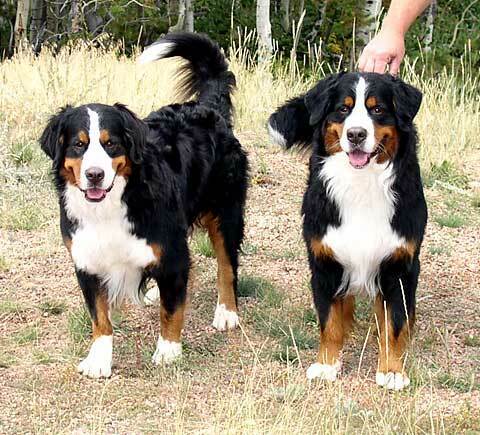 They are a Swiss breed that is relatively new to the US, and becoming very popular. Stop by the cabin sometime when we are there and you can meet our eight! Here is a photo of Millenia (ours) and Nick (our friend’s). They are brother and sister. We also own Daisy and Bode (not shown), who happen to be children of Millenia and Sailor (photos elsewhere on this site). It can get really confusing! For a photo of sailor as a puppy, click on “more”. When we got our kitten, eBay, (it is a long story), she was only 3 or 4 weeks old. She was ugly and scrawny….and, hungry. We had two dogs able to produce a little milk, Mira and Margaux. Here is a photo of Margaux, nursing eBay. I’ve noticed that some of the key guidelines for training dogs, also apply to leading and managing people and organizations. Please don’t interpret this as an insult!